Thread Check Inc. offers Gagemaker contact points for smaller internal ACME, Stub ACME, Stub ACME Modified-1 & -2 thread diameters. Pitch diameter and functional size inspections are critical for every threaded connection. This can be especially true in smaller diameters, but these smaller diameters require a unique gage design to perform the proper inspections. The Gagemaker SPG-6000 Series of thread inspection gages measures internal pitch diameters of threads between .625″ and 1.500″. 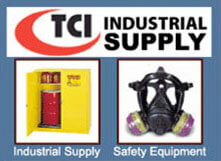 The SPG-6000 Series of gages is used primarily on ANSI and ISO standard straight thread forms. The SPG-6000 can be equipped with contact points to measure ACME, Stub Acme, Stub ACME Modified-1 & -2, Metric, MJ, UN, UNJ, & UNR Series of threads. The SPG-6000 Series is ideal for threads with special P.D.s or pre-plate requirements. Gagemaker’s contact points are manufactured with carbide balls. Standard contact diameters are held to tolerances of ± .0002″. 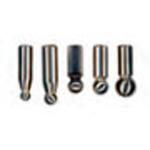 Contact point sizes are matched closely to thread inspection wire sizes. For pitch diameter size inspection, contact points attach to arms that are fixtured on the gage. The SPG-6000 can be set using our MIC TRAC™ gage setting systems, rod standards, calipers, gauge blocks, or micrometers. 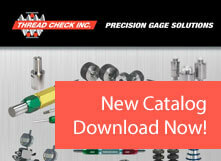 For best results, Gagemaker recommends our MIC TRAC™gage setting systems or rod standards. For gage setting dimensions regardless of setting method or selecting additional contact points, our helpful, easy-to-use TDWIN™thread engineering software program may be required. “SP” contact points only fit straight shank “SPA” contact point arms. Gagemaker “STPA” threaded shank contact point arms require threaded shank contact points, found here. Contact point arms are sold separately as a set of two.